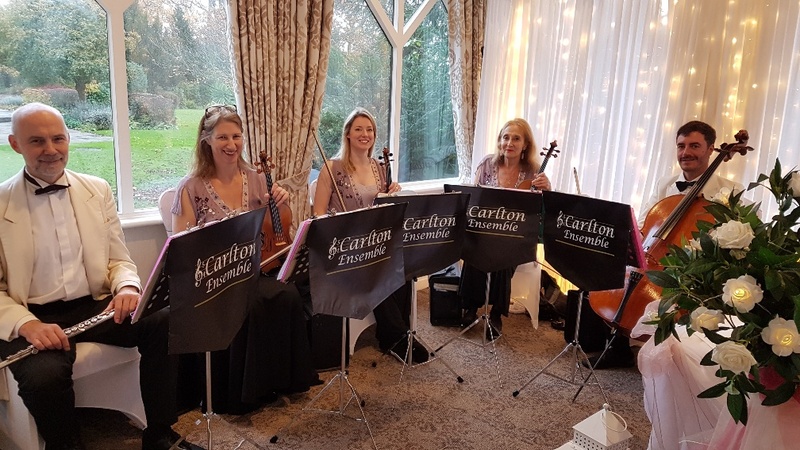 Carlton Ensemble consults carefully with you so your wedding day flows & our musicians can play the classical & modern wedding music you & your guests will love - as we've already done for hundreds of North West couples. 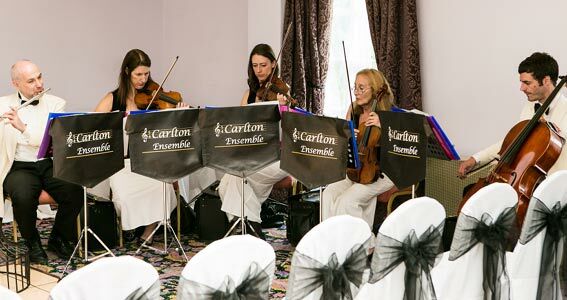 We know our relaxing, easy-listening sound really works as background music for weddings & receptions. 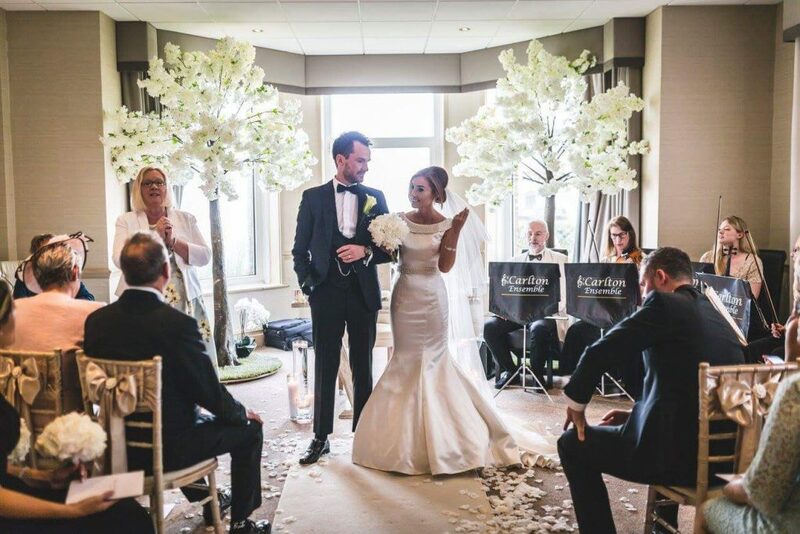 Whether it's your religious service, civil ceremony, chupa, drinks reception, wedding breakfast or simply listen-and-lounge time after the meal, we provide the best musical selection around. 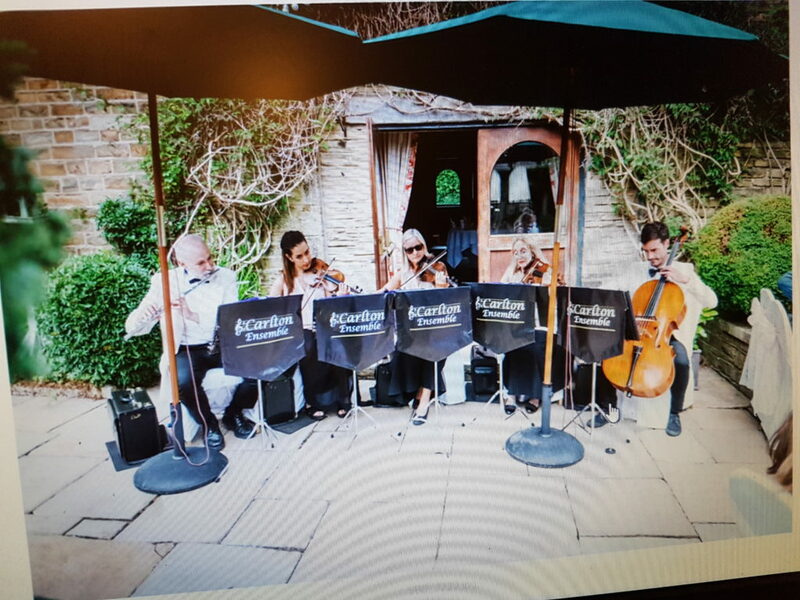 Listen to our string & flute versions of 60's , 70's, 80's, 90's & noughties' hits online. 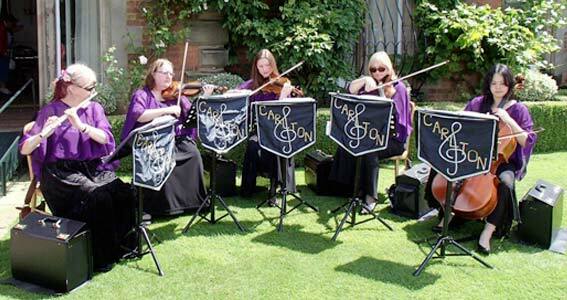 If you like what you hear but you're not clued up on classical music , just email us or pick up the phone for a chat. If budget's your concern, please call- we are accommodating & aim to be considerate of your finances . 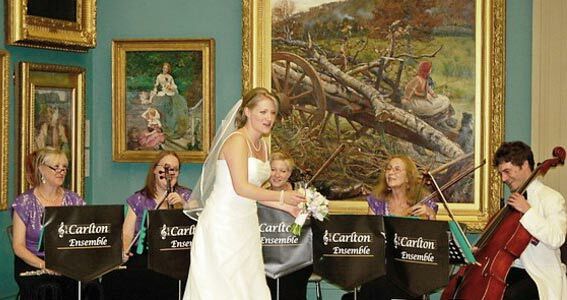 This is your day, your rite of passage & our string quartet & flute pulls out all the stops to make it memorable. 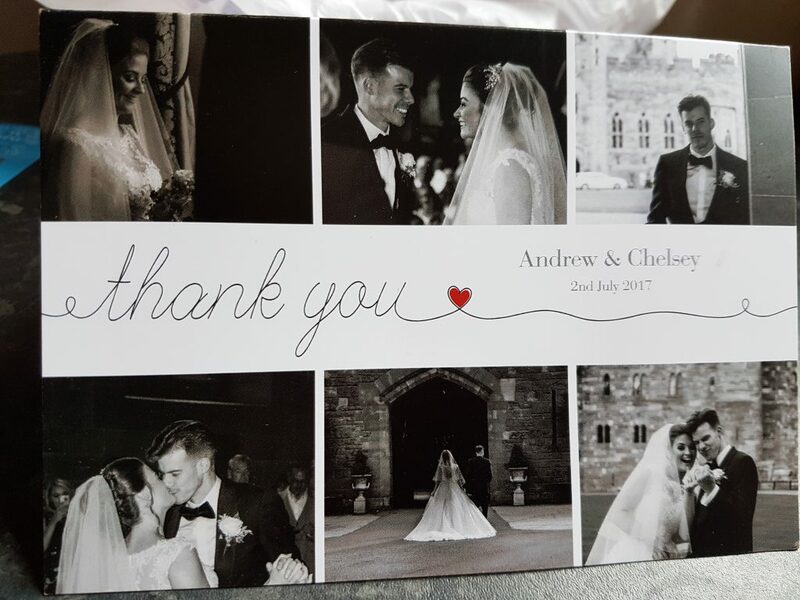 Click on our ABOUT page to see where we've performed.